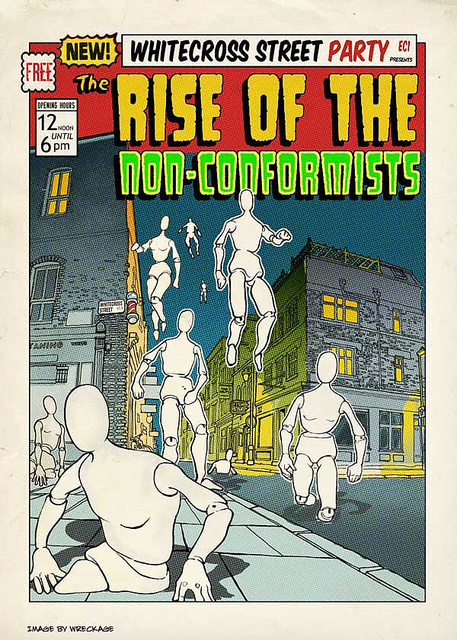 ‘Rise of the Non Conformists’, Whitecross Street. As well as a two day street party two dozen artists will be turning the street into a giant canvas, including Burning Candy Crew, Carrie Reichardt, Dotmasters, David Bray, Dr.d, Filthy Luker, Gavin Turk, Giles Walker, Best Ever, Dead Leg, Mysterious Al, Matt Small, Mr. E. Dawe, Paul Insect, Peter Dunne, Shepherd Fairy (OBEY), Peter Dunne, Terry Baden, Will Baras, Wreckage, Xenz and Eeelus. 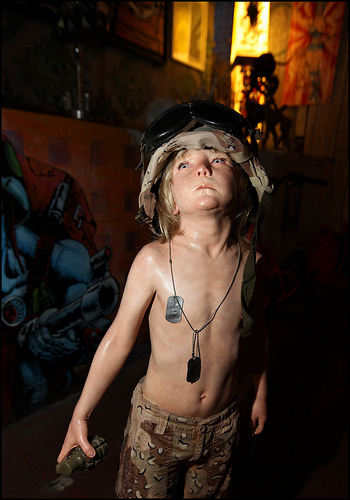 ‘Boy Soldiers’ – a group show by Schoony. 30 different artists have customised one of Schoony’s boy soldier figures. Includes Goldie, Dan Baldwin, Mau Mau, Joe Rush, Dotmasters, Carrie Reichardt, Insa, John Nolan, Fin DAC, PEN1, Grafter, Liliwenn, D*Face, Matt Small, Inkie, David Bray, BEST EVER, Nick Reynolds, Hiruka Irie, Part2ism, Slice, K-Guy. Show will run separtely at the Blackall Studios in the East and the Graffik Gallery in the West. No Responses to "Whitecross Street Party /"